USD is under pressure due to Trump’s health-care plan failure. 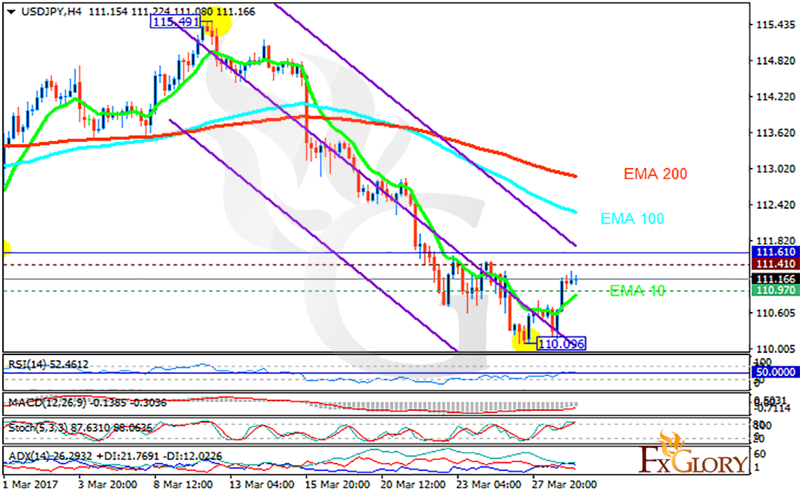 The support rests at 110.970 with resistance at 111.410 which both lines are below the weekly pivot point at 111.610. The EMA of 10 is moving with bullish bias but it is below the EMA of 100 and the EMA of 200. The RSI is rising towards the 50 level, the Stochastic is showing downward momentum and the MACD indicator is in negative territory. The ADX is showing buy signals. The resistance level breakout is a good sign for buyers to open their positions; however, it is more likely that USDJPY continue its bearish trend targeting 110.